The World Alliance for Low Carbon Cities will host, together with the City of Shenzhen, its 8th biannual forum at the Leo King Environmental Park in Longgang, Shenzhen, China from June 17thto 19th, 2015. The forum will seek to provide fresh perspectives on issues relating to sustainable development, addressing the role which cities and private companies play in realizing a low-carbon future. The forum’s themes will explore these issues through the Alliance’s core themes in addressing the role which technology, China’s Internet Plus strategy, city planning, renewable resources, and the future of urban transportation play in supporting this development. Through a series of panel discussions, workshops, and presentations from leading researchers, government officials, and business leaders, the forum will foster an exchange of opinions on shared topics between Chinese and Western cities, promote business opportunities, transfer of technology, and support the development of joint research projects, with a particular focus on developing green hospitals and integrating renewable resources. The wealth of expertise and experience on hand at the forum will also serve as a basis for the development of toolboxes to be used for the development of low-carbon ecosystems. build up content (cases, methodologies, etc.,) for toolboxes to be used for the development of low-carbon ecosystems. Since 2011, our Forums have welcomed more than 1000 participants from all over the world. We joined forces with the City of Shenzhen two years ago to highlight the increasing information exchange activity conducted between China and Europe. This advance has enabled us to connect big picture thinking with support from the project level. This year we plan to make the forums more effective and beneficial for all the participants. Download the forum agenda here. For more information regarding the forum, please feel free to contact us. The 9th Low Carbon City Development World Forum will be held in October 2015 in Tampere, Finland. Download a PDF copy ofthe latest agenda here. For details on discounted hotel rates, please see below the forum agenda. This autumn's forum is titled Capabilities for Sustainable Urban Innovation and will feature two days of presentations and plenary discussion sessions followed by a third day of site visits organized by the City of Tampere. These visits offer participants an opportunity to see first-hand the interesting development underway in the region. The forum will also provide an international perspective on developing regional cooperation in innovation activity, offering perspectives from Finland, China, Sweden, the Netherlands, and Ireland. The Low-Carbon City Development World Forum was initiated by the World Alliance for Low Carbon Cities (WALCC). The Alliance is a non-profit, international association, aimed at improving the international development of low-carbon cities and facilitating communication and cooperation. The three main objectives of the WALCC are: to serve as a learning platform for members, initiate and orchestrate international research projects for low-carbon development, and be a globally active promoter of low-carbon initiatives. Forum attendees in need of accommodation during the forum (October 6-9) are eligible for a discounted rate at the Original Sokos Hotel Ilves (Hatanpäänvaltatie 1, 33100 Tampere). A limited number of superior, single and double rooms are available at the rate of €160 / night (single) or €180 / night (double). This rate includes a complimentary breakfast and use of the hotel’s sauna facilities. To gain this rate mention booking code WALCC when booking. All reservations must be made before September 15th. The Low-Carbon City Development World Forum is the main platform for encouraging partnership and an ecosystem-approach in sustainable development. By bringing together leading experts from a variety of industries, localities, and backgrounds, all sharing a strong interest in driving the development of low-carbon cities, the Forum helps to realize the full potential of this vast international network of cities, companies and research institutes. As we face unprecedented opportunities and challenges in the coming year, we are pleased to invite your organization to participate in the Low-Carbon City Development World Forum. Wuzhou, located in the Guangxi Zhuang Automonous Region, China, has a population of over 3 million. The city is ideally located near the Zhu River Delta Economic Zone, the Beibu Gulf Economic Zone, and the Xi River Economic Zone. The city’s location allows it to serve as a key conduit between southwest China and Southeast Asia. The history of Wuzhou dates back to two thousand years ago. Over the last couple centuries, Wuzhou has developed into a well-established business hub. 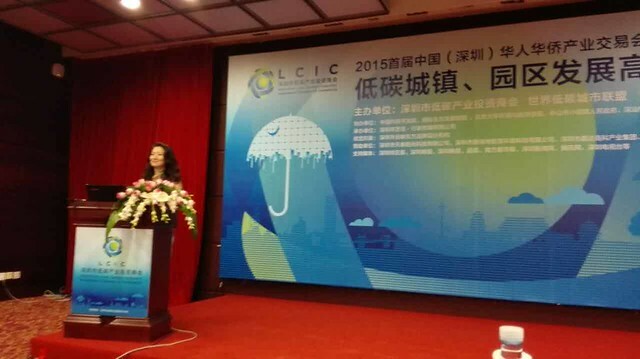 Today the City of Wuzhou is also engaged in low-carbon development. It has been selected as a National New Energy Demonstration City by the Chinese national government. The World Alliance for Low Carbon Cities welcomes the City of Wuzhou as its latest city member in the development of a sustainable future for Wuzhou. For more information on the city, please visit the city’s website. Download our May newsletter for the latest information on the upcoming Eighth World Alliance for Low Carbon Cities Development World Forum in Shenzhen June 17-19. For more information on the upcoming Shenzhen forum, including a full agenda, see the updated event page! The WALCC's November newsletter includes updates on our members' activities, industry, technology, market, and policy updates as well as a report on last month's green building seminar and details on the upcoming water symposium on December 13th. Building on the success of Helsinki’s minibus shuttle service Kutsuplus, first introduced a little over a year ago and drawing ever larger numbers of users, the city now plans to overhaul its transportation plan to go even further in creating the foundation for a truly car-free city. Led by the vision of an ambitious young transportation engineer, Sonja Heikkilä, the city is undertaking a pilot in the Vallilla area which uses smart phone technologies to integrate the city’s public transportation infrastructure with other transport options and services to create an on-demand, single-payment system. This plan has drawn attention from the international community, with publications ranging from England’s The Guardianto business-focused publications such as Business Insider and Bloomberg View as well as the technology press ZDNet. Schneider Electric’s Executive Vice-President of Global Operations Julio Rodriguez announced, on July 22, 2014, plans to establish a Center of Excellence focused on smart cities solutions in Barcelona, Spain. The Center, Schneider Electric’s first focused solely on smart solutions for cities, will serve as the center of the company’s knowledge on solutions for smart cities, gathering the experience, the results and the successful Smart City solutions established worldwide. The work of the Center of Excellence will guide and support cities on their way towards a new paradigm in efficiency management, habitability, and sustainability thanks to the implementation of smart solutions and the development of new business models. As cities try to spur the innovativeness of their areas, those within city organizations must look not only to themselves but to each other as well as those around them. Can we improve our own operations? Who should we collaborate with? How should the collaboration be structured to ensure that the ‘right’ issues are addressed? How can we, efficiently, identify everyone’s interests and handle them constructively? Co-creation partnerships can therefore be considered as forms of social innovation, which can help to fuel those goals we consider important; such as low-carbon transportation solutions. The two-year, TEKES-funded Systemic Architectures for Sustainable Urban Innovation (SASUI) program aims to contribute to this goal through the efforts of researchers from Aalto University’s Department of Real Estate, Planning, and Geoinformatics and University of Tampere’s Politics of nature and the environment research group (PONTE), in co-operation with the cities of Espoo and Tampere, and together with the selected sub-contractor Synocus. The program is led by Professor Raine Mäntysalo who has a strong interest in the development of the 4P model (Public – Private – People –Partnership), a model which requires understanding the interests of various parties as well as the tensions between these parties. This theme will be assessed through the development of a number of urban areas, including Otaniemi and Keilaniemi in Espoo and, in Tampere, research will focus on the urban densification project underway in the Tammela region and the development of collaboration between the various parties involved. Synocus responsibilities in the research program include: conducting international benchmarking studies comparing and contrasting the efforts of city regions in Sweden and China that are also faced with the same challenges. This benchmarking will highlight interesting examples and precedents of the regional and local support structures developed for driving sustainability and low-carbon innovation in urban planning which can benefit Finnish cities. Points of comparison in Finland include the ‘Innovation Garden’; an area consisting of Otaniemi, Tapiola, and Keilaniemi, providing support for the area’s development, guiding the form of co-operation, and the evolution of the area’s branding. 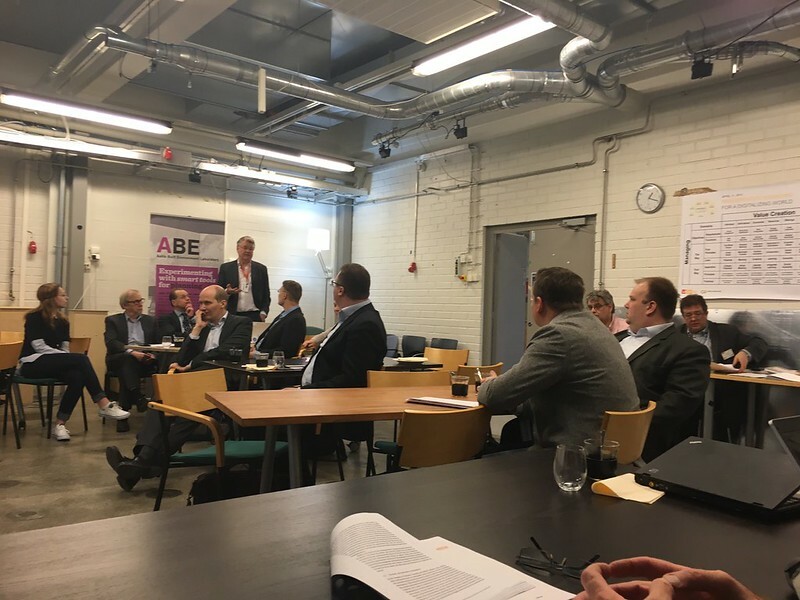 Similarly, the SASUI program will support Tampere’s activities as the head of the Smart Cities section of the national Innovative Cities (INKA) program. The INKA program’s goal is to foster novel forms of co-operation between private sector companies and public sector organizations in developing new, commercially viable innovations and expertise for the global market. 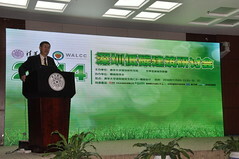 The SASUI program is connected to the international World Alliance for Low Carbon Cities (WALCC). The WALCC is a non-profit organization aimed at supporting the development of low-carbon cities. The alliance supports its members’ efforts to adopt low-carbon technologies by providing them with information on the industry’s latest developments and by arranging networking events. The SASUI program provides the WALCC with a source of information regarding the latest developments to support the research and development goals of its members, further collaborative initiatives spurred by the program, as well as providing updates of the program’s progress. The SASUI program will be represented at the 7th annual Low Carbon Development World Forum organized by the WALCC. The forum will be held at the Tampere Hall in Tampere, Finland, from October 7-9. 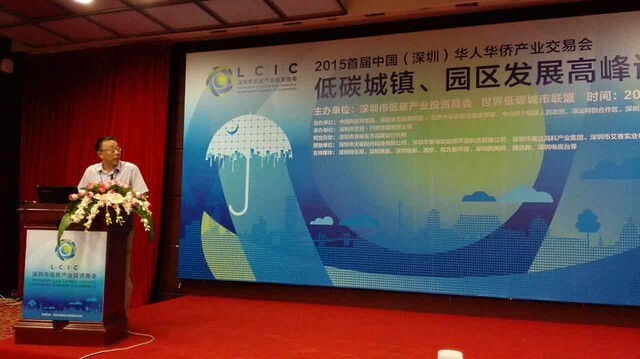 On 20th, Dec, 2014, the World Alliance for Low Carbon Cities will join together with Bosum Association to promote health and a low-carbon lifestyle in Shenzhen, China. The venue will be the Shenzhen Bay Sports Park beginning at 9:00. The estimated length of the 5.1 KM. PARTICIPANTS: Bosum Association suppliers, students, and their families, Bosum providers clubs, Bosum Association district town Alumni Association. For more information please visit the Chinese page. 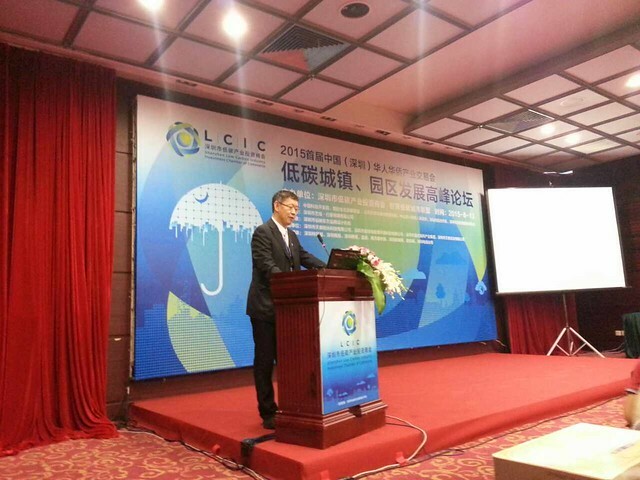 The World Alliance for Low Carbon Cities (WALCC) and the Shenzhen Low-Carbon Industry Investment Chamber of Commerce co-hosted the low-carbon district development conference.A new district-focused, innovation and development platform was launched to support low-carbon innovation and technology development on 13th, August, 2015 in Shenzhen. 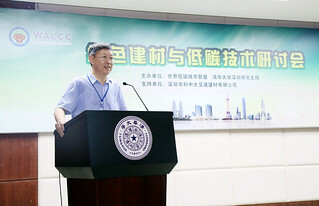 WALCC Chairman Professor Kang Feiyu represented the Alliance at the event, delivering a key note address on the role of low-carbon technologies in city development. 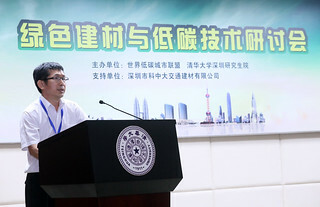 Professor Kang’s speech addressed the conference’s central theme, that of spurring innovative, low-carbon and sustainability focused research and development work in urban centers. 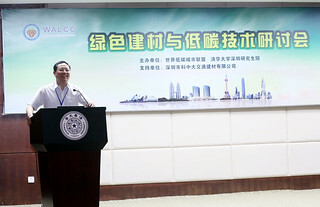 The conference served as the inauguration of a new development and innovation platform founded by the Shenzhen Low-Carbon Industry Investment Chamber of Commerce, represented by its Managing Director Ms. Zhang Ping. The platform was founded in the interest of drawing investors as well as leading companies and experts in the field of low-carbon technology and urban development to collaborate together in multi-party collaborative projects which utilize the Public-Private-People (PPP) partnership model. Home to a number of the country’s leading green and low-carbon industry companies and a highly active venture capital investment market, Shenzhen makes for an excellent center for the future of China’s innovative green industry. In addition to spurring technological research and development and creating systemic, integrated solutions for the low-carbon industry, the development and innovation platform will also aim to support cities in encouraging energy conservation and practicing sustainable urban development. Alongside this announcement, the conference featured a series of keynote addresses delivered by leading experts and professionals in the field as well as a number of and government representatives. Moderated by Professor Huang Haifeng (Assistant Dean, Peking University HSBC Business School and Chairman of Asia, Ecological Development Union International), the conference’s speakers addressed issues related to the development of support infrastructures and service for sustainable, low-carbon urban development, and utilizing PPP partnerships to advance these projects. Speakers included a range of government representatives, including Mr. Yang Tiesheng (Deputy Director General, Ministry of Industry and Information Technology, China), and Mr. Wang Heqing (District Mayor, Jiangjin District, Chongqing), as well as representatives from leading construction material companies such as Dr. Xiong Yongqiang (Chairman of Jiada Group). On March 31st, the World Alliance for Low Carbon Cities gathered together a group of experts, from both private and public sectors, with interests in the development of the cities of the future. Inspired by the publication of a report for the recently completed city development research project Systemic Architectures for Sustainable Urban Innovation (SASUI), the Alliance gathered together these experts to engage in a far reaching discussion regarding the implications of the project’s findings and the development of new forms partnership in demanding urban development situations. Participants at the workshop included city or regional representatives like Markku Markkula, a member of Espoo’s City Council and President of the European Committee of Regions; and Leena Vuotovesi, CEO of the municipality of Ii’s industry strategy and development organization Micropolis; and private companies, such as Janne Öfversten of WALCC member organization Kone. The SASUI project’s findings, as presented by one of the SASUI project’s contributing researchers, Simo Syrman (Aalto University), led into presentations from Antti Paulanne, head of Schneider Electric’s healthcare segment, and Kari Mikkelä, of urban innovation support agency Urban Mill, who addressed different perspectives on the support major corporations and cities can support the development of new innovations, services, and companies. The Alliance’s Vice-chairman Johan Wallin (Synocus Group) closed the afternoon with an acute assessment of the various ways in which the Alliance supports the complex ecosystems which bring together the expertise and experience of various private sector organizations in collaboratively advancing the goals of cities’ as they address the challenges posed by transforming to sustainable cities of the future. You can read the SASUI project’s report online at Aalto University’s website. 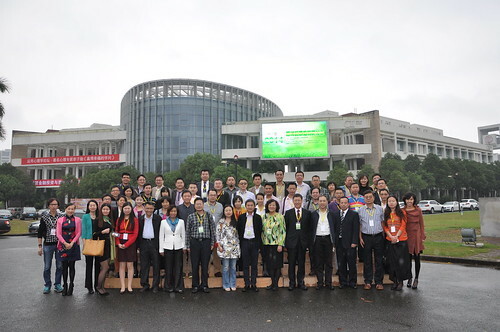 The World Alliance for Low Carbon Cities (WALCC) and the Tsinghua University Shenzhen Graduate School hosted a seminar on green building materials and low-carbon technology on August 11th at the Graduate School in Shenzhen, China. The seminar’s range of speakers, including experts, professions, and government representatives in the construction and urban development industries, promoted the integration of low-carbon practices, materials, and technologies in construction, road work, and waste resource efficiency. 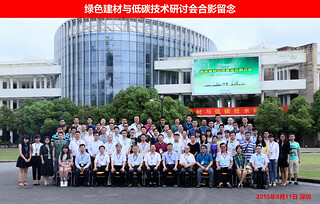 As the seminar’s main partner, the Shenzhen KZD Traffic Construction Materials Company brought a focus on the development of environmentally sustainable traffic infrastructure, exploring the application of new materials and technologies in road work. This material-focused perspective was also represented in a number of other speeches delivered by experts in the fields of municipal design, building materials, the design of urban roads and bridges. KZD’s new asphalt technologies support sustainability in road construction by simplifying the production of asphalt by producing a ready-to-use product which eliminates the need for asphalt mixing and heating equipment or personnel. For more on WALCC member Shenzhen KZD please see the company's member page.